Absolute Humidity book launch. Photo by Savannah Van Der Niet. Absolute Humidity is a new limited-edition volume featuring over thirty conversations with contemporary artists practicing in the Asia-Pacific region, and edited by Brisbane-based curator and writer Tess Maunder. The following excerpt has been made available exclusively for fine print magazine. Absolute Humidity manifests as a sweaty brow. We might try to wipe it away with the back of our hand, blot it out with foundation in a bathroom mirror or wash it away swimming in the ocean. But ultimately these attempts are futile, because if the conditions are present the sweat will return, again and again. Absolute Humidity is a framework that collectively engages with the conditions that many artists are working under today; trans-national relationships, ecological threats, exploitation, anxiety, sovereignty, politics, identity, disputed territories and the shifting weather. Absolute Humidity emerges in the wake of the Anthropocene rhetoric (1). The Anthropocene—being our current geological age in which human activity is the dominant ecological influence—has had a wide impact on contemporary art and the larger field of cultural practice. 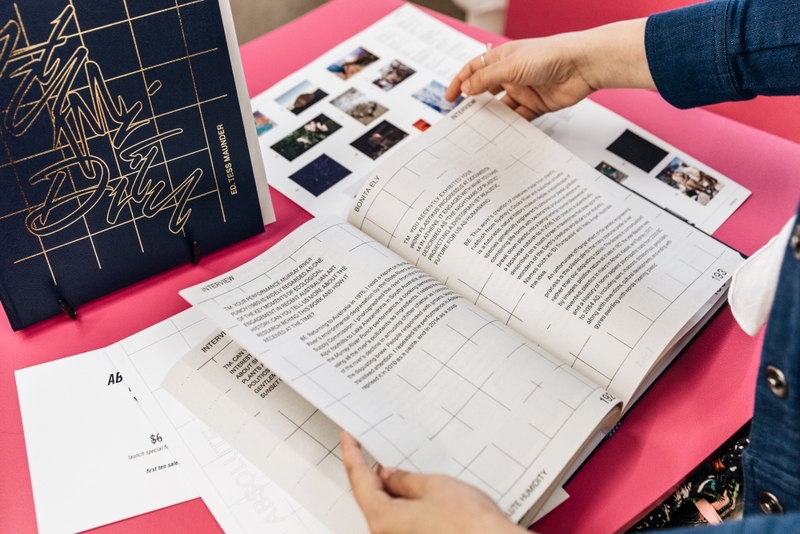 Over the last ten years, we have seen contemporary art discourses develop in response to the theme of the Anthropocene; this research has fed into a range of curatorial projects including publications, conferences, exhibitions and more. While it is promising to see such an interest in environmental issues, a majority of these projects engage with ‘the environment’, or ‘the Anthropocene’, as a narrow thematic without considering the nuances and multiplicities that are mobilized internally within artists’ practices. For example, an artist readily engaged in activism and the politics that surround climate change may be overlooked as an environmentally engaged practitioner because their practice does not fit the mould of what environmentally engaged practice should look like aesthetically. Ultimately, curatorial choices that engage with the environment as a theme do not adequately examine why an artist of our time would choose to make environment a central premise in their art practice. Absolute Humidity takes this curatorial lacuna head-on, casting the net wide by placing artist’s independent voices at the centre of the discussion. The publication brings together over thirty contributions from artists of the Asia-Pacific region. It includes practices spanning from Jakarta to Brisbane, Ho Chin Min City to Mumbai, Hong Kong to Dubai, among many others. As conversations and essays, they present a multiplicity of perspectives on the weather and the climate: Bahar Behbahani’s de-colonial lens looks at the nuanced role of water within the histories of Iran, and speaks of its unfolding into her artistic practice; Zheng Bo straddles the liminal space between politics and the environment, while delving into his favourite types of plant; Hit Man Gurung & Sheelasha Rajbhandari discuss the work they have done in the wake of the 2015 Nepal Earthquake and the consequent community cultural development that they continue to do in the city of Kathmandu; Lantian Xie presents a sensitive account on the role of privilege in relation to heat-politics in the Gulf. As the sum of its many parts Absolute Humidity is generated through a range of collaborating voices and intersecting disciplines. It proposes that a productive conversation about the environmental conditions of today should resist universalist claims and instead focus on the specificities of artistic ideas and action. This way, we can unpack the inconsistent conditions that we live in, both in their continuity and contingency. Tess Maunder is a curator and writer with over eight years of experience working in the contemporary art sector both in Australia and overseas. She is currently based in Brisbane, Queensland.